Why buy such a different-looking Wedge? What has Callaway done differently? 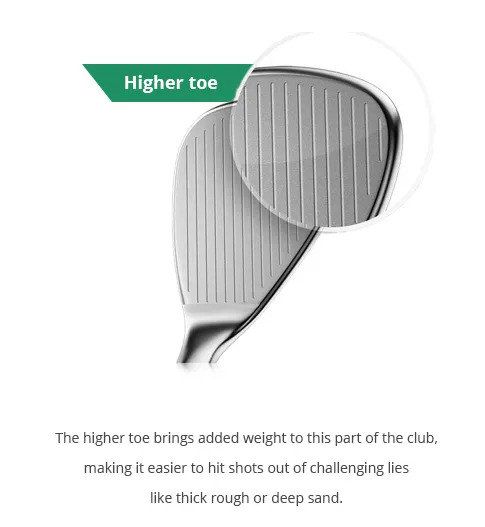 In the PM Grind Wedge, Callaway have extended the blade upwards at the top of the toe and taken the score lines all the way to the edge, giving you more weight behind the strike and more spin from the extended score lines. We need to know more about your swing and what kind of Wedge shots you're playing before being able to tell you which grind, loft and bounce you should be playing with. 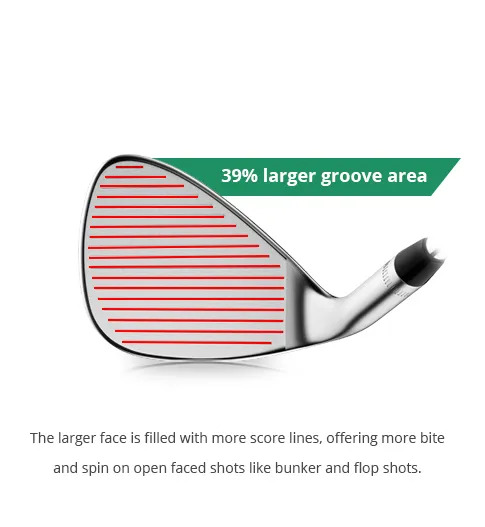 Come in for a Wedge assessment.